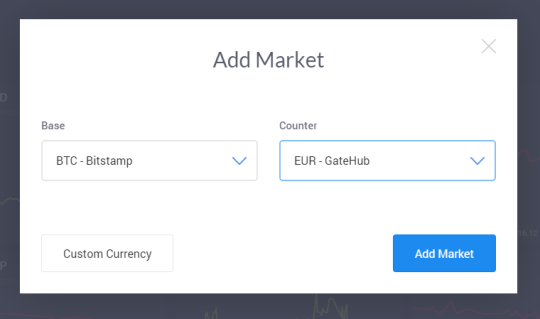 GateHub now supports Company Accounts, which you can open at https://signin.gatehub.net/signup. For any additional information about company accounts contact us at [email protected]. We are always listening to you, our users, and we strive to improve your GateHub experience. Today, we are introducing new GateHub Wallet features that simplify both management and exchange of your digital assets. 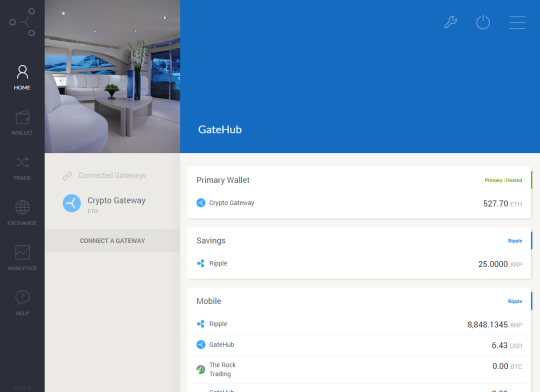 The completely redesigned home page now displays all wallets, balances, and connected gateways. The feature most requested by our users was an easier asset conversion process. We listened and came up with what we believe is the easiest exchange available on the market today. 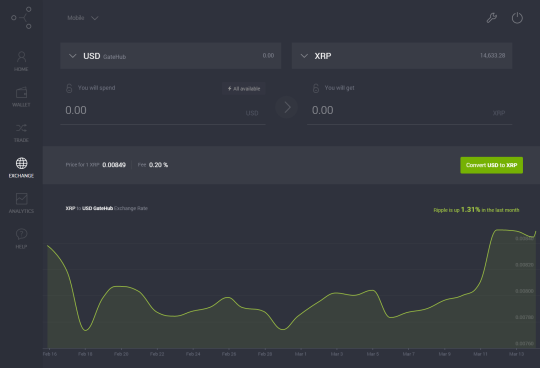 Combining the power of the decentralized ripple network and intuitive design, you can instantly convert your assets at a market exchange rate. 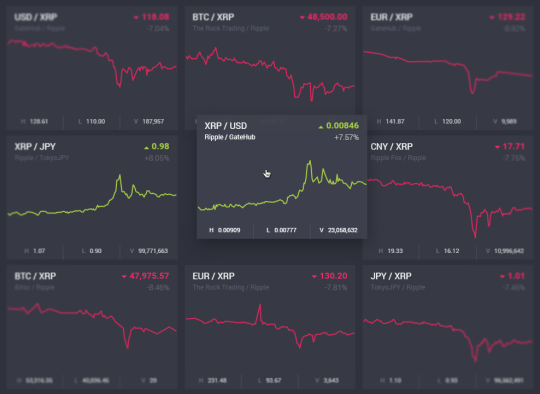 Users can now add custom market pairs and trade any available asset on the ripple network. To add a custom market, please go to Analytics > Markets and click the plus-icon (+) to add a new market pair. Open orders are now accessible within the Trade page itself. To view Open Orders, go to the Trade page, click on Open Orders circle charts, and a modal window with Open Orders will pop-up. The Markets page now features Drag & Drop, which is a convenient way to organize markets you trade on. 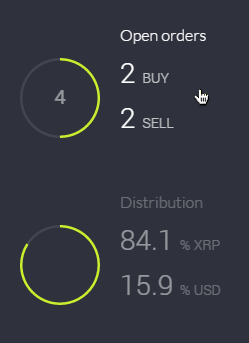 GateHub Wallet now gives you full control over advanced ripple trustline options such as Limit, Rippling and Quality Out. You can also set trust to any issuer on ripple for any currency. You can access this feature by clicking Advanced on your ripple wallet balance tab. We improved the rendering of our Wallet on smaller screens. This is an intermediate step before we launch our completely native mobile wallet apps. Following our vision to make any type of value accessible and transparent, we are pleased to announce the imminent arrival of the first gateway to the GateHub platform. Starting with Ether, we are creating a global network of connected gateways easily accessible via our GateHub Wallet.